Israeli occupation forces (IOF) have persisted in their encroachment on Palestinian property and facilities in Bethlehem and Jericho and Jordan Valley governorates. 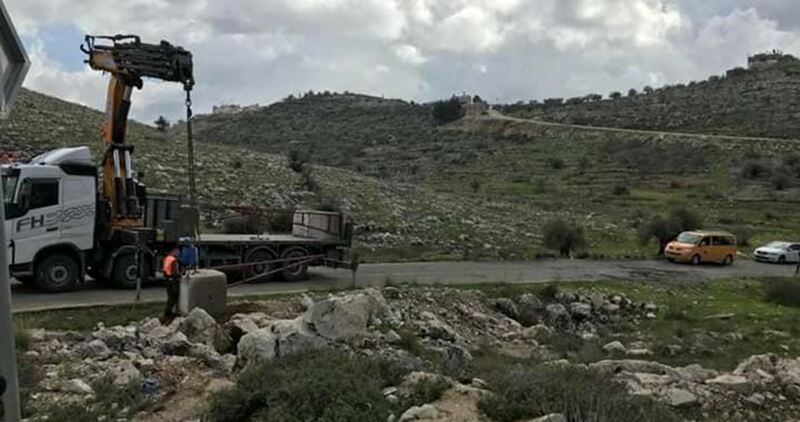 The representative of the anti-settlement and anti-separation wall committee in Bethlehem, Hassan Beraijeyya, said that IOF soldiers erected on Sunday metal gates at the entrances to Palestinian lands, belonging to the Ghenaim family. The IOF troops also placed ten containers to store products in lands owned by the Dabesh family in al-Khader town in southern Bethlehem. In a similar context, IOF soldiers handed over home-evacuation orders to a number of Arab al-Zayed area in al-Nuwaima town north of Jericho city. The evacuation orders were handed out in preparation for razing the houses, according to Mayor of Jericho and Jordan Valley governorate, Majed al-Fityani. 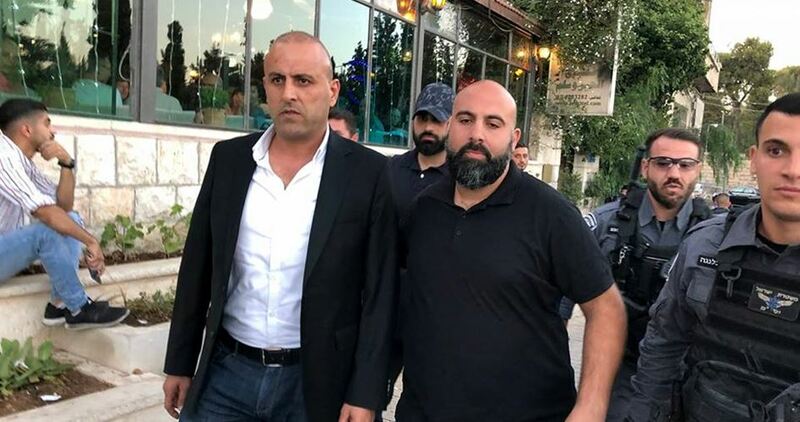 The Israeli police on Saturday evening arrested the head of the chamber of commerce in Jerusalem Kamal Obeidat and his deputy Raed Sa'ada and took them for interrogation over their organization of an Iftar gathering for journalists. The police, accompanied by intelligence officers, stormed Jerusalem Hotel, surrounded it, forced all people inside the hotel out, and distributed an order banning Ramadan Iftar gatherings in the place. The Israeli authorities have been gradually trying to ban Palestinian events of any kind in Jerusalem encouraged by the US recognition of the holy city as Israel's capital. In another context, the Israeli-controlled Jerusalem municipality on Sunday morning confiscated equipment belonging to Palestinian shops in the Old City of Jerusalem. The municipality claimed that the owners of these shops had brought the confiscated equipment without obtaining a legal license. The Ramadan season was always considered a chance by Jerusalem traders to revive the city's economy. However, Israel's tightened restrictions recently have created a state of stagnation among Jerusalem markets. These measures include the municipality's daily targeting of Palestinian shops and stalls, especially in the Old City, and the ban imposed on Palestinian women coming from neighboring villages to sell their vegetables and handcrafts in Jerusalem. 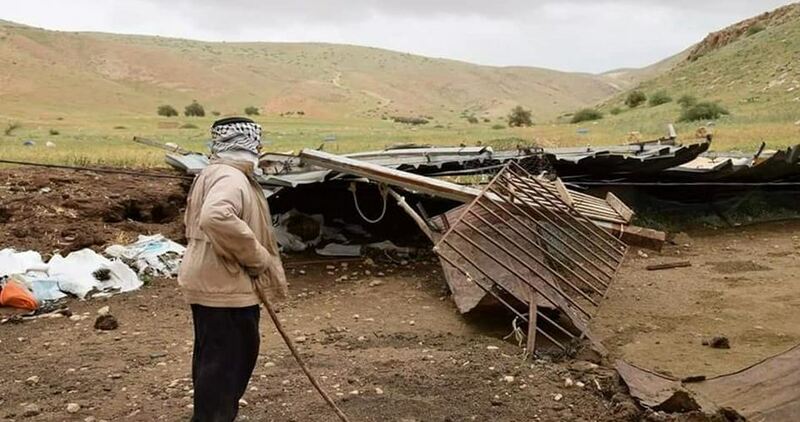 Israeli forces served notices, on Sunday, ordering Palestinian Bedouin families living near the village of Nuway’imah, to the north of Jericho in the West Bank, to leave the residential shacks where they live prior to demolishing them, according to local WAFA sources. Governor of Jericho Majed al-Fetyani condemned the Israeli military order describing it as a “forcible transfer” of the original Palestinian population from the area. Israeli forces have frequently demolished residential structures, including tents and shacks, as a means to forcefully displace Palestinian citizens and confiscate their lands. Having no other choice, many Palestinians in Area C of the West Bank, under complete Israeli control, are forced to build without permits to be able to provide a shelter for their families, risking having their buildings demolished. 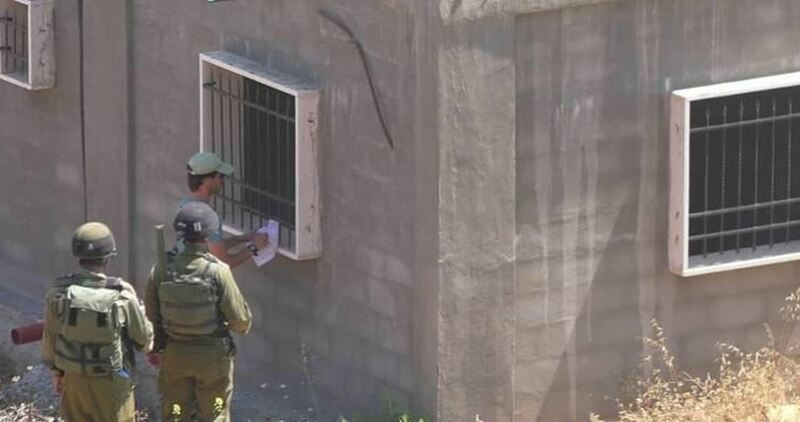 The Israeli occupation forces (IOF) on Sunday stormed al-Nuway'imah town, north of Jericho, and handed two Palestinian citizens orders to evacuate their houses in preparation for their demolition. 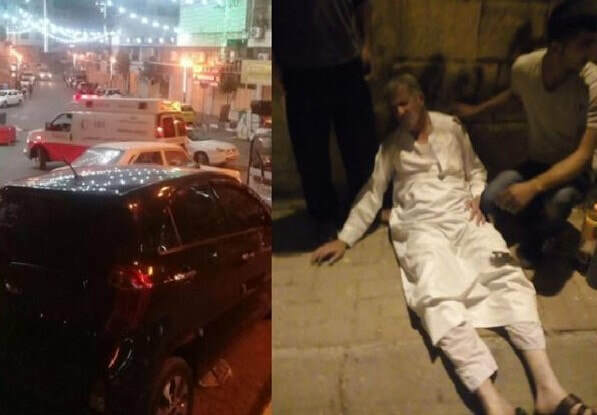 Local residents told the PIC reporter that the IOF stormed Arab al-Zayed area and handed Mahmoud al-Zayed and Ail al-Zayed the demolition notices. Other citizens in the area received similar notices earlier. Head of the Arab al-Zayed Bedouin community Sheikh Abdul-Rahim al-Zayed told the PIC reporter that there is an Israeli plan to seize about 150 dunums of the village's lands and annex them to the nearby Mevo'ot Yeriho settlement. He added that the Israeli settlers usually roam the area armed with guns and attack the residents of Arab al-Zayed in an attempt to push them to leave their lands. Dozens of Palestinian children will rally on Monday, to call on the international community and global leaders to intervene and prevent the demolition of their school. The children, whose ages range between 8 to 16 years old, are from the Jahalin tribe that has, for decades, lived on the hills in the periphery of Jerusalem. The tyre school – funded by the Italian government – is the only school for children from Al-Khan Al-Ahmar and neighbouring communities. 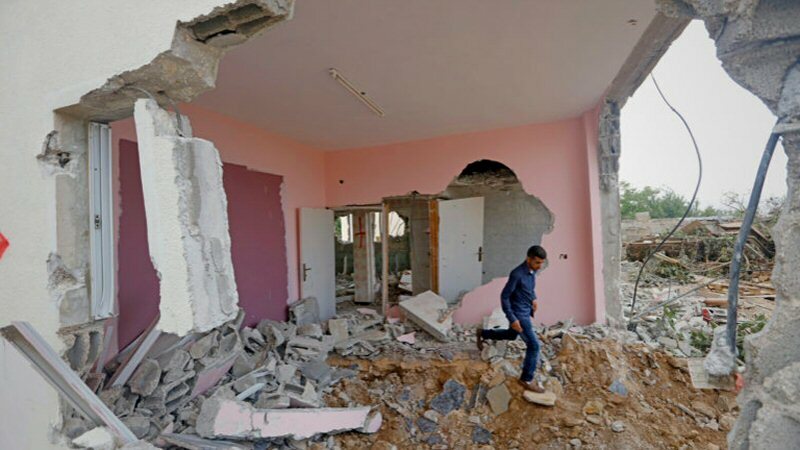 On May 24th, 2018, the Israeli High Court ruled against an injunction by the community, paving the way for the Israeli military to demolish the school and other community structures, and putting the entire community at imminent risk of forcible transfer. Over 200 homes and community structures are slated for demolition, in the area. The community of Al-Khan Al-Ahmar-Abu is one of the 46 Bedouin communities in the central occupied West Bank that the United Nations considers at risk of forcible transfer. Forcible transfer is defined as a war crime under international law, PNN further reports. According to Save the Children there are currently 36 schools under threat of demolition. Dr. Sabri Saidam, Palestinian Minister of Education, said, “We call upon our friends in the international community to protect children’s universal right to education. This school in the community of Al-Khan Al-Ahmar is built with European funding, and we urge European politicians and tax payers to join these children, to help them save their school and to hold Israel to account for violations that threaten children’s rights to education and their well being. “Two years ago, Palestine joined the growing list of countries to sign the Safe Schools Declaration. We have committed fully to adopting the guidelines to ‘support the protection of students, teachers, schools, and universities from attack. 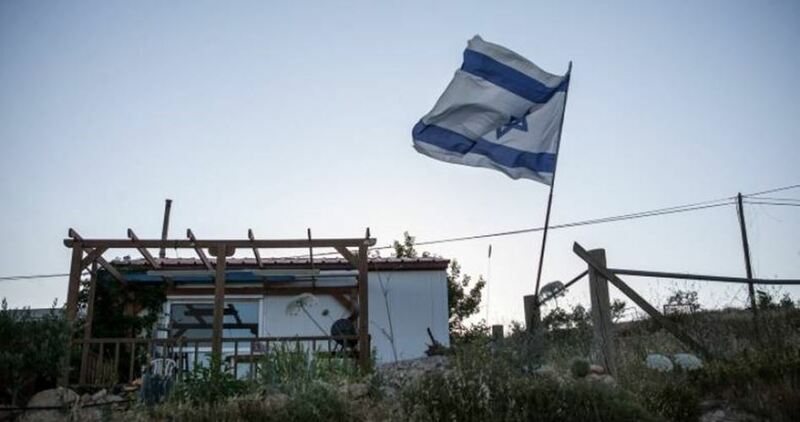 Israeli forces demolish a home in Kobar village, August 16, 2018. Photo credit: Bahaa Nasr for WAFA. Two Jerusalem legal aid organizations will petition the Israeli Supreme Court to overturn a new military order which makes it possible for Israeli forces to demolish Palestinian homes in Area C within 96 hours after delivering demolition orders. The Coordinator of Government Activities in the Occupied Territories (COGAT) issued military order 1797 on April 17, 2018. COGAT, under the direct control of the Israeli defense ministry, runs civil affairs in the occupied West Bank. Order 1797 will go into effect on June 19, 2018. If a homeowner does catch wind of an impending demolition, he or she must present an approved master plan and building permit to appeal the demolition. Israel’s discriminatory housing policies in the West Bank ensure that this is an almost impossible requirement for the 300,000 Palestinians living in Area C, 60 percent of the West Bank, to fulfill. According to the UN Office for the Coordination of Humanitarian Affairs (OCHA), between 2010 and 2014, for example, Israel approved 1.5 percent of building applications in Area C. Israeli authorities, however, routinely approve of settlement master plans and even halt demolitions of settler outposts citing the existence of master plans, JLAC and St. Yves point out. Indeed, since 2017 Israeli officials have approved nearly 14,000 settlement units in the West Bank. One area that may be acutely impacted by this new military order is the E1 corridor, which sits between the Jerusalem municipality’s borders and the settlement of Ma’ale Adumim. For years, Israeli politicians have proposed incorporating this area, which is in Area C, into the Jerusalem municipality. Such developments are key to maintaining what Israel euphemistically calls a “demographic balance” in Jerusalem, i.e. restricting the Palestinian population to 30 percent of the city’s total population. Palestinian presence in Jerusalem today likely constitutes at least 40 percent of the city’s population. Concerned about a recent ruling by Israel’s High Court of Justice authorizing the demolition of the Palestinian Bedouin village of Khan al Ahmar and evacuation of its residents to a site near Abu Dis, AIDA, a network consisting of more than 80 INGOs operating in the occupied Palestinian territory (oPt), calls on Israel to halt its plans to forcibly relocate this vulnerable community and to allow them to live in peace and dignity in their current location. AIDA also urges the international community to resort to appropriate measures to bring Israel into compliance with its international obligations. According to the PNN, the Palestinian Bedouin community of Khan Al Ahmar is comprised of 181 people, who originated from Tel Arad in the Negev and were displaced to the West Bank in 1951. The vast majority are Palestine refugees registered with UNRWA. The community has resided in its present location near Jerusalem since 2009. Khan al Ahmar is located in Area C of the West Bank – under full Israeli civil and security control under the Oslo Accords – close to the Kfar Admumim settlement, a closed military zone and the foreseen extension of the West Bank Barrier. Israeli occupation forces (IOF) on Friday handed three Palestinian families orders to evict their homes located in al-Shuhada Street in the Old City of al-Khalil. Local sources told the PIC reporter that the IOF order stipulates for evicting the three Palestinian homes within four hours. The evacuation order also affects the house which was closed by IOF soldiers earlier on Thursday. 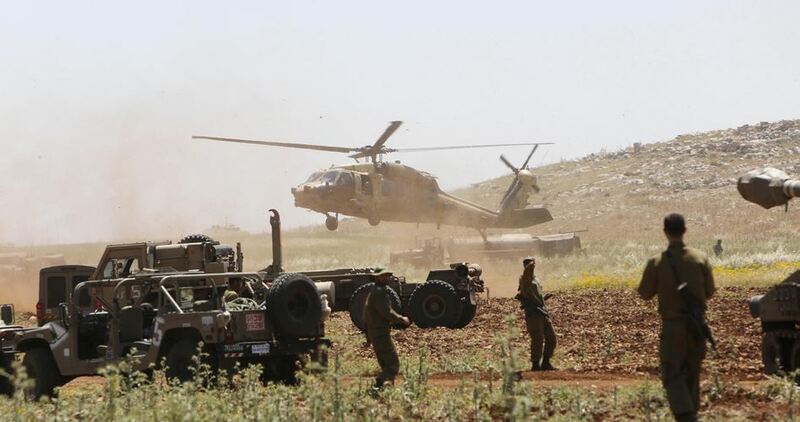 The Israeli occupation army on Friday morning launched a round of military maneuvers in Aqraba town east of Nablus in the northern West Bank. Palestinian farmers living nearby reported that the Israeli army set up caravans on Thursday before tanks and other reinforcements later arrived in the area for the scheduled drills. 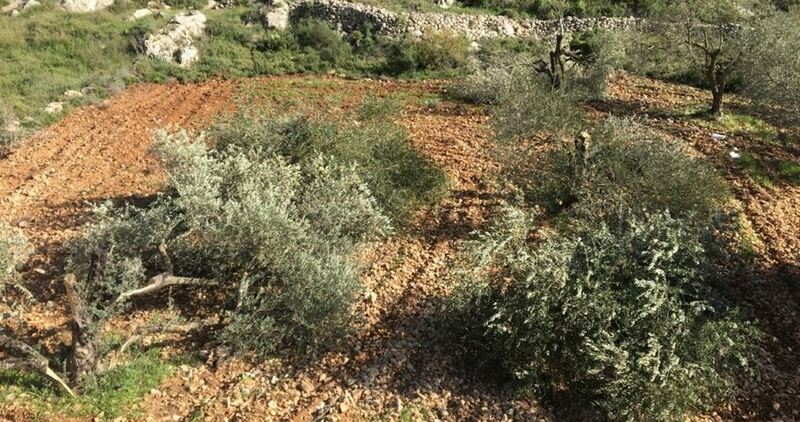 The Israeli occupation forces from time to time carry out military drills in the Palestinian farmlands of the West Bank causing severe damages in these lands.